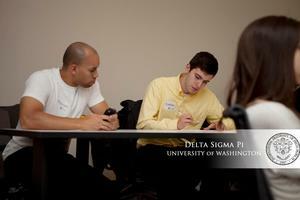 Delta Sigma Pi is a co-ed professional business fraternity founded in 1907 with over 240,000 members internationally. In 2013, the University of Washington established its chapter - the Sigma Upsilon Chapter - after only 9 months as a colony. We live by our 4 pillars: Professionalism, Community Service, Scholarship, and Brotherhood. Founded from Diversity: Delta Sigma Pi was founded over a hundred years ago to be America’s preeminent professional business fraternity. Part of that founding was to form a brotherhood of people from diverse walks of life, at a time when other organizations excluded certain groups from membership. A great strength of our Fraternity is a membership as diverse as the business world, for which we are preparing our members. We are a mixture of different voices from different backgrounds that challenge fixed ways of thinking and lead us to excellent ideas at both the chapter level and in the business world. Diversity Ideals into Action: Delta Sigma Pi puts its commitment to a diverse brotherhood into action, going beyond a non-discrimination policy, and extends a welcome to those of all walks of life who meet our professional standards. Every one of us is an individual with different abilities to offer, and we seek out and honor those differences. Delta Sigma Pi strives to provide fraternal friendships with people different than ourselves, giving that feeling of bonding that a fraternity of people with similar goals can uniquely give. Our mission is to develop brothers in the fraternity professionally, providing the support, opportunities, and resources needed to help them reach their goals and aspirations. 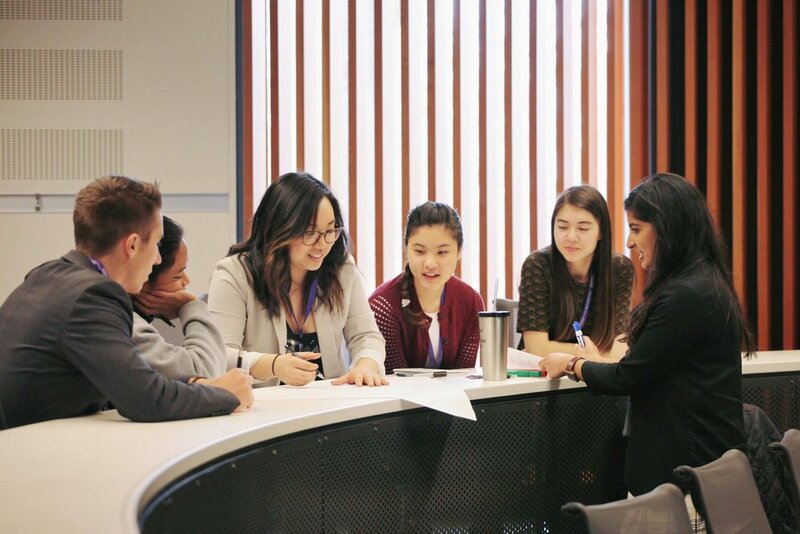 In February 2015, we hosted our first ever leadership conference. 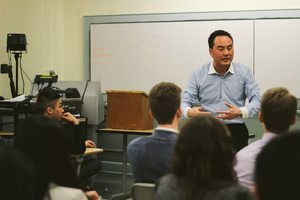 Business leaders from different industries shared insights with students and hosted workshops about leadership in the business world. We partner with companies and organizations to host professionals for one-on-one discussions, networking events, and workshops on different kinds of professional development. Something special to Delta Sigma Pi is our focus on community service. We hold several community service events year round, where we make an effort to give back to a wide range of causes, organizations, and communities. Over the past year, Delta Sigma Pi has formed a strong partnership with the University Food Bank by sending volunteers on a weekly basis to help out with operations and delivery. Our members also work with the Seattle Tilth Alliance, a local nonprofit organic gardening and urban ecology organization. 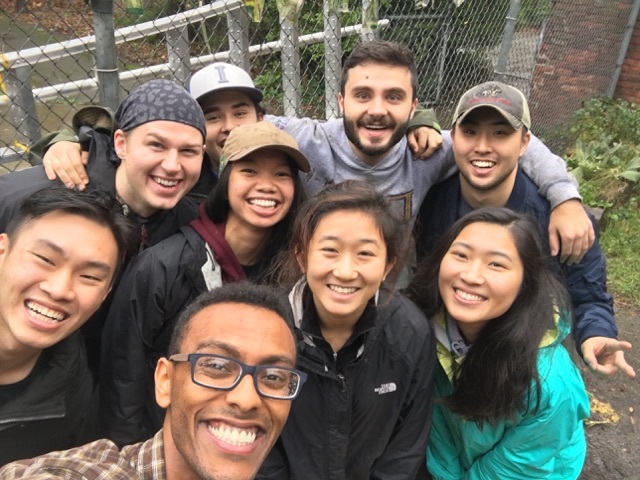 Members this year helped maintain and manage Seattle Tilth's Children's Garden. We ensure that our brothers are supported not only professionally, but academically as well. Our VP of Scholarship is dedicated towards providing resources and guidance for our members. With such a wide range of ages and expertise in our chapter, we offer tutoring services and career help to our members in similar majors. 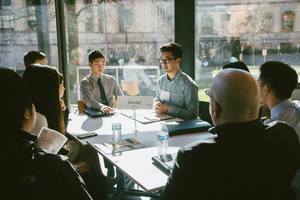 We also provide guidance and help with the Foster School of Business application. Our members are always eager to help one another in their classes. From one-on-one tutoring to group study sessions, our brothers uphold a high standard of academic excellence. Above all else, we encourage a supportive, uplifting community for our members to be surrounded by throughout college. We live by the quote, "when my brother succeeds, I succeed." 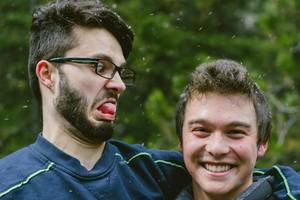 Each spring we host a retreat outside of Seattle, where we gather for community bonding. This is a time for our members to not only grow closer with each other, but also reflect on how we can continue to grow in DSP. Every member gets paired with a "big" who is there to provide mentorship and guidance in their personal and professional life. Every member is also part of a family of bigs and littles, with their own family bonding events.